The Gods Walk Among Us! 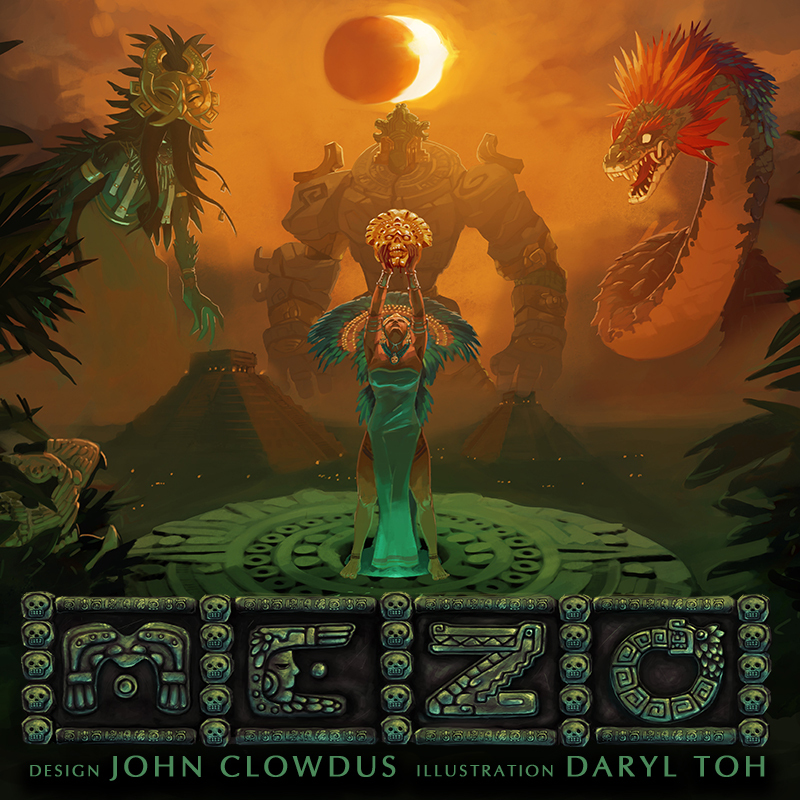 Mezo is an innovative game of area control for 2-4 players inspired by Mayan mythology. Take control of a powerful god, represented by a massive miniature and a unique tribe of followers. These tribes will clash for dominance, build step pyramids, and make sacrifices all in the name of their god. 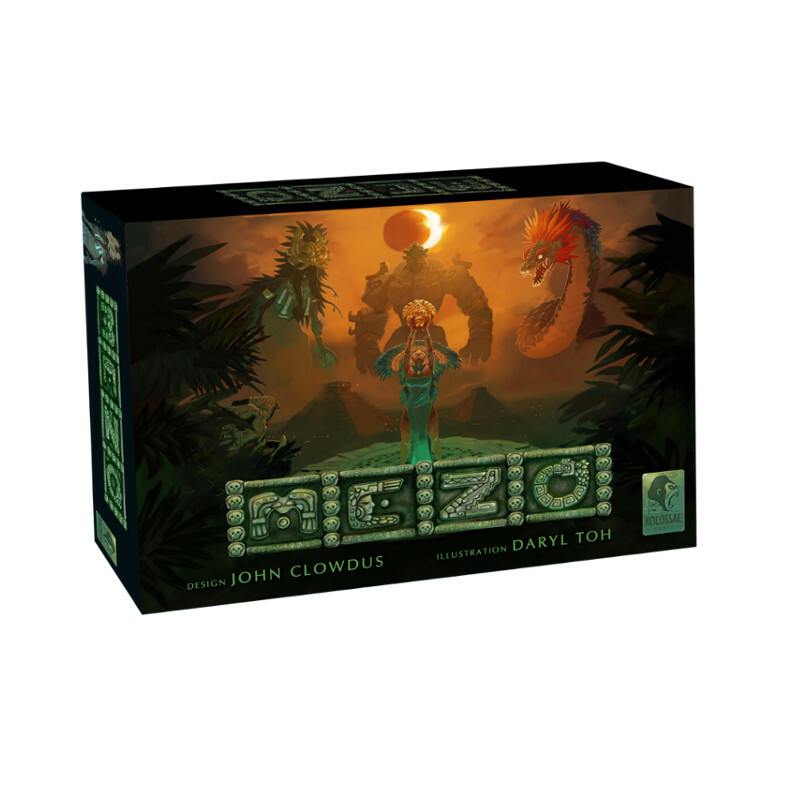 The first big box game from Small Box designer John Clowdus (Omen, Hemloch, Neolithic), Mezo redefines area control and conflict-driven game play. Featuring beautifully sculpted miniatures and asymmetric strategies granting numerous paths to victory, no two games will ever be the same! 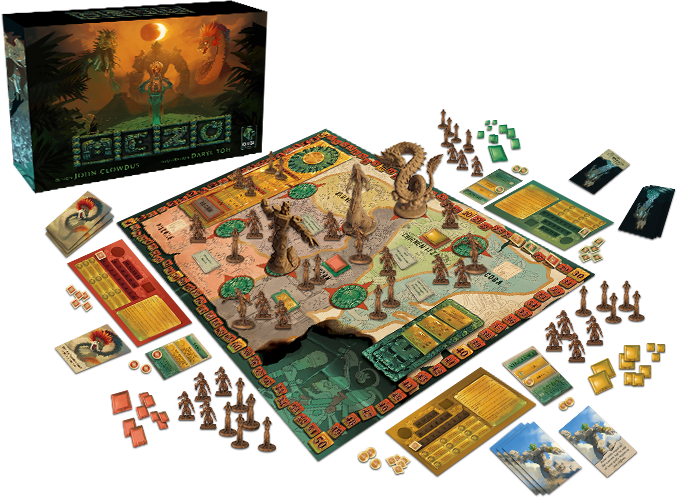 Mezo builds on area control games that came before it to introduce an approachable, innovative, conflict driven game. Each round, your god will influence a region and their tribe to gain dominance, built pyramids & glyphs, or influence the codex and calendar. 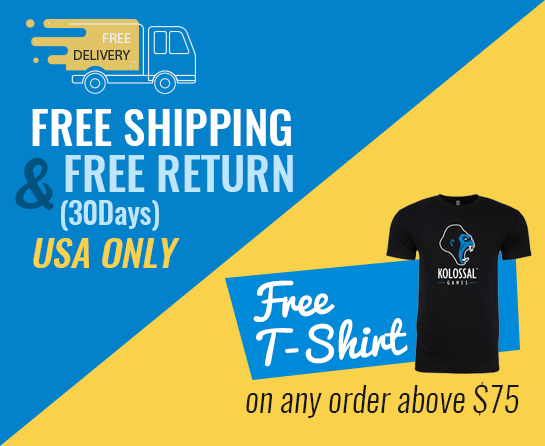 Never forgetting the underworld of Xibalba can also be influenced to your advantage. Across three ages you will select new abilities to shape your strategy. You will need to balance each rounds plans with these long term strategies to achieve victory. Your opponents will attempt to thwart you at every turn through strength, or cunning depending on their own god’s abilities. Each PVC figure in Mezo was crafted from hand sculpts by Pure Arts. The 4 Mayan gods are represented by figures ranging from 80mm to 104mm in height and tower over the tribe miniatures. Players will also select a tribe of unique sculpted miniatures to accompany their god in the clash for dominance. Mezo can be expanded to include additional gods, variants, and a 5th player tribe by purchasing the God Pack and Souls for Xibalba. Are you ready to wage war?